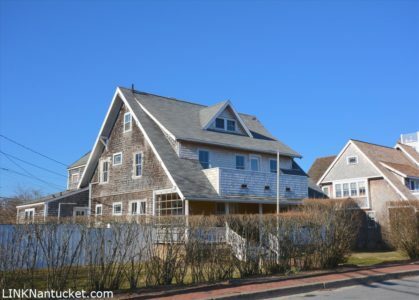 ‘Safe Harbor Guest House’ offers tremendous potential and is ideally situated in the heart of Brant Point just steps from Children’s Beach and all the the Town of Nantucket has to offer. This property has long been operated as a licensed Bed and Breakfast or could be converted into a grand and spacious private residence. Enjoy views of the Harbor from the first floor porch or from the second floor deck.